"I look at you and am convinced of one thing, that you once had something - some treasure, some symmetry, some secret, some key - but you have lost it. Every moment, asleep or awake, you are always busy looking for something. It is quite possible you do not know exactly what you are searching for and that you are unaware of what you have lost, but I see the hunger in your eyes. It is apparent in every beat of your heart." With these words, Osho has said all about human misery, about human love, about human soul. A soul who is in a perpetual quest from the begining of time, and whose quest no one knows when it reaches the end. It is indeed the quest for that "something" we sometimes seem to find on the tip of our tongue, but yet we cannot express it. However, how could we get to truly discover and experience this undefinable "something"? The Tantrics say that the answer is right here, right now. Begin with what you find in your immediate vecinity, and you shall see it all. So let's take a look at the Tantric view of the human body! With the Tantrism, the human body reaches an unprecedented importance in the whole history of all spiritual disciplines. Of course that health and vigor, the interest for a physiology resembling to the Cosmos, and consequently sanctified are ancient values, but the Tantrism pushes the conception that health is possible only in a "divine body" up to extreme limits. Thus, the body is no longer the source of all suffering, but the most secure, the most perfect instrument man has in his attempt "to conquer death." Moreover, because it is perfectly possible that we reach the ultimate state in this very life, the body must be preserved in a perfect state for a long period, precisely because it allows human beings to meditate. 1. The importance of the total experience of life as being part of the sadhana. This is the general position of all tantric schools. 2. 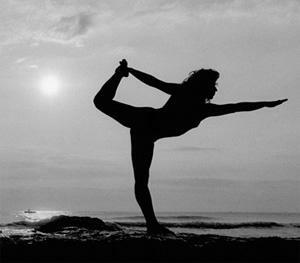 Moreover, there is the desire to control the body in order to transform it into a divine body. This is the Hatha Yogic position. This control should start in a humble manner, with a precise knowledge of all bodily functions and organs. The great majority of spiritual schools and currents begin their presentations with the soul and blame the body. 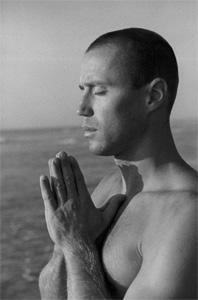 However, Tantra begins by using what is at hand, in this case with the body itself. Tantra accepts everything, approves and, most important transforms everything, sexuality included. Tantra offers solutions and engages on the path of self-discovery from the actual level of the human being who has reached a certain level of understanding. In the case of our contemporary society, the human body is perceived as being the one and only existing reality, and the sexuality (unfortunately perverted and misunderstood) - as the unique pleasure. In such circumstances, Tantra opposes to the opaque vision of contemporary man the sacred perspective of the body as a divine place, a jumping board towards the invisible Reality. Consequently, the human body reveals itself to the one interested in discovering its secrets as a special and complex vehicle, through whose systematic exploration man may apprehend his own secrets and transform his energies. For a genuine tantric approach, the body is a true friend, whom he accepts, cares for and loves beyond age, form or color. Beauty comes from the spirit because in fact the spirit clothes the body, not the proper clothing. Consequently, the body must be respected, purified, maintained as clean and healthy as possible (on the inside and on the outside), as this respect proves the proper attitude towards the Macrocosm itself. One must not visit dozens and hundreds of temples in order to find God, as sometimes this search may be superfluous and without any real value. For those who can understand and feel this, your own body is meant precisely for this purpose and should be regarded as a gift from God.